How did this happen? Dancin’. I’ve played for dance for a long time, and have a fabulous time doing so as an acoustic musician. But there’s a particular issue for me as a solo clarinetist: clarinet is a melody instrument, and at a certain point in a one-hour show I need more a single melody. I’ve addressed this by extending the instrument, using found objects, asking dancers to be the ‘chorus’ of the show – but really, at a certain point I need a wider palette of sound than one melody instrument can make. I need to double myself. Enter guitar gear. Loop pedals are magic – record one tune and the looper repeats it happily until you tell it to stop. Overdub another tune… and a melody instrument can play harmony and counterpoint. You don’t just double yourself – you turn yourself into an entire orchestra. It’s magic. And addictive, as my growing collection of pedals demonstrates. I definitely can’t introduce myself as an unplugged musician anymore. I use loopers and effects processers, giving me access to harmony, counterpoint and processing in real time and live and pre-recorded sound samples. I juggle these elements on the fly to respond to the changing durations inherent to forms frequently used in dance. 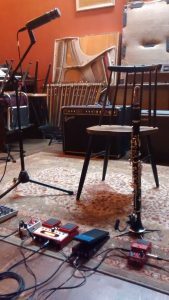 I still use my unplugged acoustic possibilities – now with a wider array of options, choosing the most appropriate solution for the situation. The history of music is full of resourceful people looking for creative solutions to a challenge. My challenge was to create long-form scores for dance as a solo clarinetist. What’s your challenge? Where are your solutions going to lead you? Mine have led me from being a mostly acoustic musician to being surprisingly (to me) plugged in. 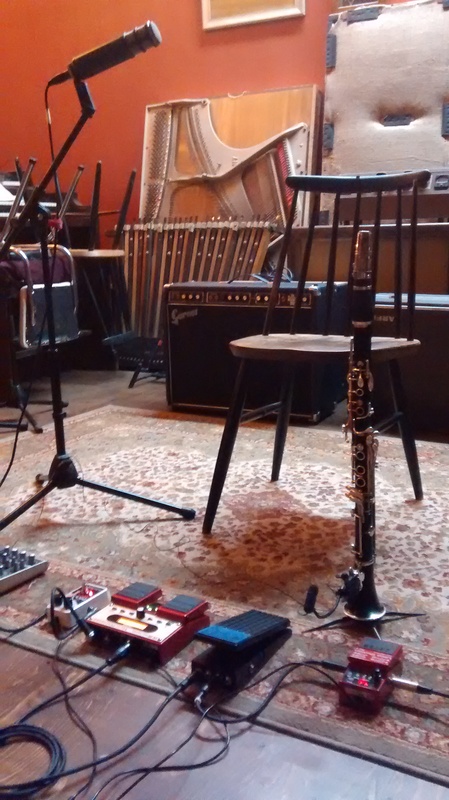 The next blog posts will look at simple, accessible technologies to make music with amateurs.